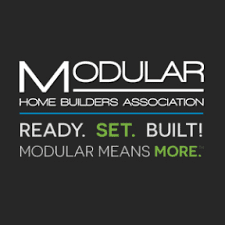 The Modular Home Builders Association (MHBA) proudly reveals our redesigned website. The updated website better educates future homeowners on modular construction and the home building process as a whole. The website redesign is part of MHBA’s recent marketing efforts under the Consumer Awareness Program (CAP). The CAP was initiated to demonstrate MHBA members extensive experience in the industry. Using resources gathered from members, the MHBA website now features a gallery of homes including floorplans that illustrate the beautiful and unique capabilities of modular building along with detailed information on what makes a modular home superior to traditional built homes. After previewing and learning more about the types of homes available from our members, potential homeowners can reach out directly and find a local builder or request an estimate for their dream home. An additional aspect of the CAP involves MHBA choosing a member modular home each month to showcase on MHBA social media platforms to highlight modular home building and its capabilities. These 12 homes will be pooled at the end of the year and one winner will be chosen as the Modular Home of the Year. Thanks for sharing Gary. Its early yet, but we've seen a 31% increase in web visitors in the last month. We have a long way to go and could really get a ton more traffic on this site if ALL the manufacturers participated in our new Consumer Awareness Program. Right now, about half our manufacturers are.